The Planar PS5550 has been discontinued. No direct replacement is available. 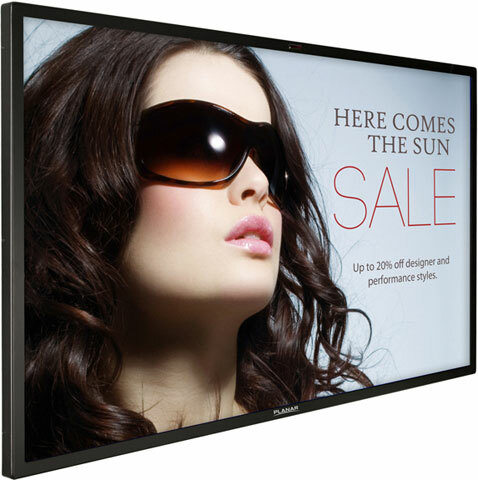 The Planar PS5550 is a 55" professional LCD display delivering a full set of commercial-grade features with all the energy efficiency and design benefits of LED backlighting. The Planar PS5550"s ultra-thin, lightweight design offers multiple connectivity options, low power consumption, and superior visual performance ideal for public signage and corporate applications. The Planar PS5550 also provides full HD 1080p resolution with advanced features such as automatic/manual backlight control, video wall support, and RS-232 control. For added protection, the metal bezel improves durability and reduces heat load on the LCD. The Planar PS5550 is the ideal combination of value, performance, and reliability with the design and cost benefits of LED technology.